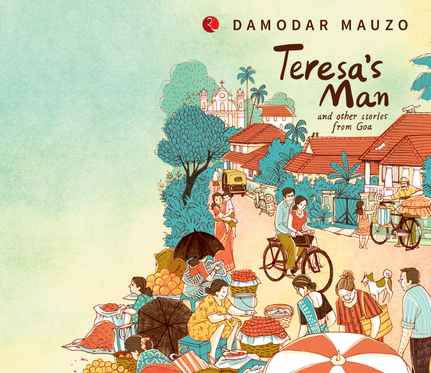 Damodar Mauzo is a name well known to connoisseurs of good literature. A Konkani novelist and short story writer, he has won fame in the world of English literature too; having had his short stories and novels translated into English and his short stories, Teresa’s Man and These are my Children, included in Goa University’s syllabus for the BA course in English Literature. 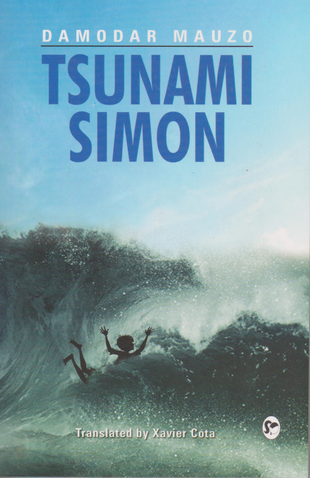 He has earned countless awards for his work, which include the Sahitya Akademi award (1983) for his novel Karmelin and the Vimla V Pai Vishwa Konkani Puraskar (2011) for Tsunami Simon. Mr Mauzo professes not to imitate any author, though he does concede that author of One Hundred Years of Solitude, Gabriel Garcia Marquez, and others, have indeed had a deep seated impact on his creativity. What they have bestowed on him is the knowledge of differentiating between good and indifferent literature. He leaves it to the critics to discover the influence of any other author on his writing. Once the idea of a story bites him, Mr Mauzo feels compelled to write tirelessly, capturing the crux of it in his penned down lines, usually at one sitting of three to four hours. Details follow later with the process of refining the story. Once the ball is set rolling, with the overwhelming urge to capture the subject matter already present in his mind, the characters and situations fall into place with adept precision. Therefore, he says, ‘This is precisely why I say that I don’t write the stories because “I” want to write them. I write because the stories have chosen me to write them.’ He paces himself just before he begins writing, notably as he conjures up the names of characters. On occasion, he does pause before the climax if he fears he has become emotionally entangled with the narrative and may be precariously close to losing sight of the objectivity he wishes to maintain. Of the fourteen stories in the book, some are based on his own experiences while others are derived from episodes related to him. At the helm of affairs as part of Konkani Porjecho Avaz (KPA), to give Konkani its rightful place as Goa’s mother tongue, Mr Mauzo felt obligated to participate in ‘bandhs’, which were the weapon of choice of the political parties of the time. Despite this participation, he commiserated with the suffering this brought to the common man, and hence, Bandh was written as a protest against the culture of strikes. From the Mouths of Babes is about a four-year-old boy’s innocent kiss that is built up into a serious affair by the principal, who gives a warning to the boy’s parents. This was an incident related to him by his daughter living in Saudi Arabia. Another story, Happy Birthday, was an extension of the experience of a childless couple who would scribble on the wall to create the ambience of having children. This was told to him by poet and lyricist Gulzar. Xavier Cota, winner of the Katha Award for Translation, has translated three of Mr Mauzo’s books, including Teresa’s Man and Other Stories. Mr Mauzo is all praise for him as he feels the translations stay true to the original and he has great appreciation for Mr Cota’s painstaking efforts to obtain the exact translation of a Konkani term in English. Translation is the means to empower and spread Konkani literature. Lack of it has largely contributed to good writers such as Mahabaleshwar Sail, playwright Pundalik Naik, young writers Prakash Paryekar, Guadalupe Dias and Ramnath Gavde, not garnering recognition on a national level. He laments the deplorable manner in which the Konkani language and literature has been treated by State and Central Government on the whole.